Tierra Verde, FL - Tampa Bay Watch has been granted $100,000 from Duke Energy Foundation to support a multi-level habitat restoration program that will be showcased in their Discovery Center at the new St. Petersburg Pier. Duke Energy volunteers will restore a coastal habitat, which will be used as part of the "Tampa Bay Story" highlighting the recovery of the Tampa Bay estuary. Funds will also help construct a living shoreline exhibit where children and adults can use a touch-screen platform to build a living shoreline habitat. Opening in late 2019, the Tampa Bay Watch Discovery Center will enhance the education and outreach mission of the environmental nonprofit organization. The 3,000 square-foot facility will open with a soaring exhibition hall that will bring our ecosystem up close and personal to visitors from around the corner—and around the world. The focal point of the exhibit hall is a centerpiece aquarium that showcases many of the species found in our local waters. Touch tanks, interactive displays, video presentations, and docent-led tours will combine for an unforgettable experience and a newfound respect for our local environment. The public exhibition hall will double as a venue for special events, corporate events, weddings, or other meetings. Duke Energy Florida has granted more than $343,000 to ten nonprofit organizations throughout the state to restore and protect the natural environment for future generations to enjoy. The grants focus on water quality and conservation, habitat restoration, species protection and environmental education initiatives. Funds are administered through the Duke Energy Foundation and its Powerful Communities program, which focuses on the following priorities: K-12 education, workforce, nature, state strategic impact, local impact and community initiatives. "Helping to protect and preserve Florida's natural resources and wildlife species is vitally important to our customers, communities and company," said Catherine Stempien, Duke Energy Florida president. 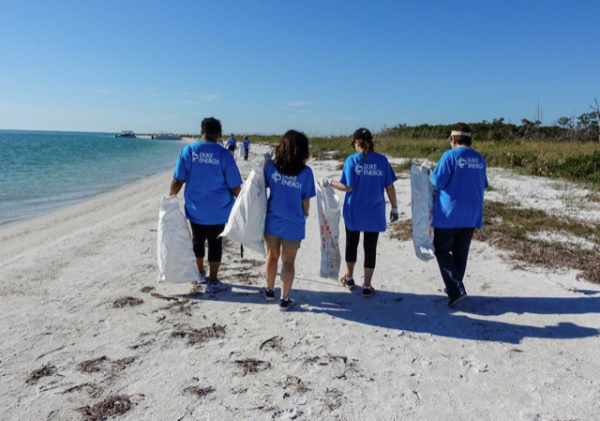 "Our communities are only as healthy as the environment around them and we're proud to partner with local and statewide nonprofit agencies in their missions to help Florida's environment." Go to tampabaywatch.org/discovery-center.html to learn more about the new Discovery Center. Tampa Bay Watch is a nonprofit 501 (c)(3) stewardship program dedicated exclusively to the charitable and scientific purpose of protecting and restoring the marine and wetland environments of the Tampa Bay estuary encompassing over 400 square miles of open water and 2,300 square miles of highly- developed watershed. Tampa Bay Watch involves more than 10,000 youth and adult volunteers each year in hands on habitat restoration projects. For more information, visit www.tampabaywatch.org, or call 727-867-8166.